As the world continues to churn out innovative products, the costs of devices like tablets and portable PC’s continue to rise. 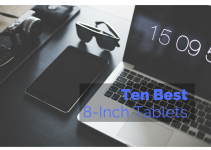 If you do your research, you can still find many tablets under $200 that are efficient and have good performance. 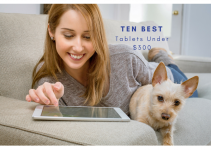 Here are a few tips on what to look for in the best tablet under $200 and a few reviews to help you start shopping. You will normally see a tablet with either a 7 or 10-inch screen although there are a few sizes available in between as well as some bigger tablets like the Apple’s 12.9-inch screen. When used in landscape mode, you will find that most tablets will give you a short, wide shape of a digital TV while the shape of the iPad’s display is more square like a regular television screen. You will find all tablets have WiFi connectivity, but higher-rated tablets have a version that can connect to cellular data networks. One great feature that many tablets include is expandable storage when you use a memory card while some can even read a USB flash drive. Also, check for ports that let you connect your tablet to your television and USB ports that will let you transfer data to a laptop. One of the reasons you are purchasing a tablet is to have the ability to download apps. Depending on the apps you plan to use, make sure they work with the tablet you are choosing. For example, Apple has a large library of games and programs designed specifically for Apple products while Android has a smaller app selection. Make sure to do your homework ahead of time so you won’t be disappointed after you purchase your tablet to find that your favorite apps will not work on it. Home – For at home use like email or searching the internet, most of the tablets on the market will work, especially at this price point. Work – If you plan to use your tablet for work, you will want that has at minimum a 9-inch screen. Make sure to look for convenient multitasking features like an optional keyboard attachment and expanded memory. Gaming – Many inexpensive tablets have gaming features so you need to look for one that has a good balance between power and portability. You also want something that has a strong quad-core processor, plenty of memory, and a good display. Kids – Tablets for kids require durability, a compact size, and parental-control features. 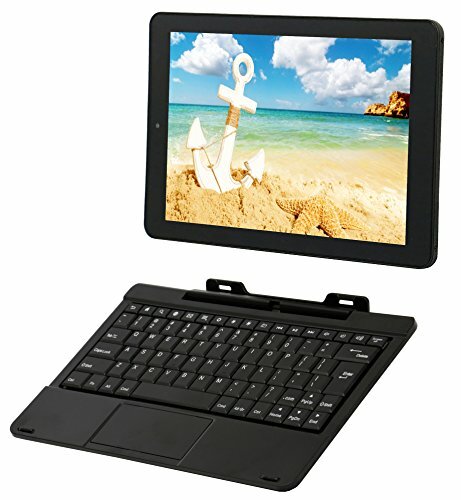 Lower-end tablets are usually a good bet for kids, plus you will want to find one with a good guarantee. Featuring an immersive experience, the Fire HD 10 Tablet has a brilliant full HD display featuring over 2 million pixels. Users can watch videos and widescreen movies or play games with more brightness, wide viewing angles, and less glare. 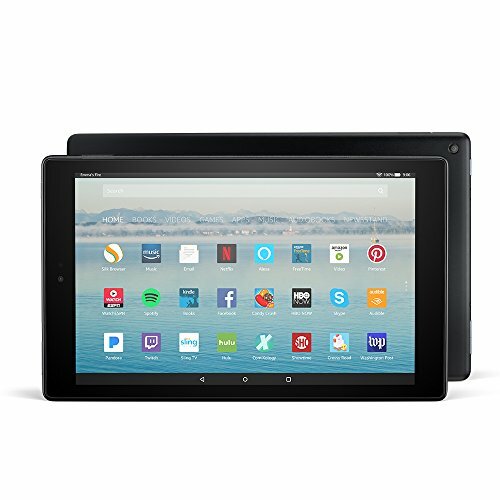 The Fire HD 10 Tablet also has the most internal storage of any Fire tablet and is perfect for watching videos offline. With a 2 MP rear-facing camera, you can take photos or shoot 720p video. The front-facing VGA camera is great for making Skype calls to family and friends. This HD 10 is 30% faster with two times the RAM of previous tablets, plus it has a quad-core processor that is more powerful. It also has two 1.8 GHz cores and two 1.4 GHz cores that run at the same time to give you smooth gaming, quick app launches, and a great overall performance. Featuring incredible entertainment features and an interchangeable design, the Asus ZenPad 8 has clean lines and a polished metallic frame along with an elegantly embossed leather patterning that gives it a refined styling. It comes with a vivid 8 inch IPS display featuring ASUS Tru2Life technology that is a good balance between portability and screen size that you can even hold in just one hand. It can also capture high-resolution pictures with the PixelMaster Camera that uses the latest technology, software, and optical design to give you incredible images. With the Asus VisualMaster, you get life-like visual enhancements technology that combines software and hardware to give you an optimal display. TruVivide technology also enhances screen brightness, clarity, and touch responsiveness. And, the ASUS ZenUI improves your experience with over 1,000 smarter and simpler features. 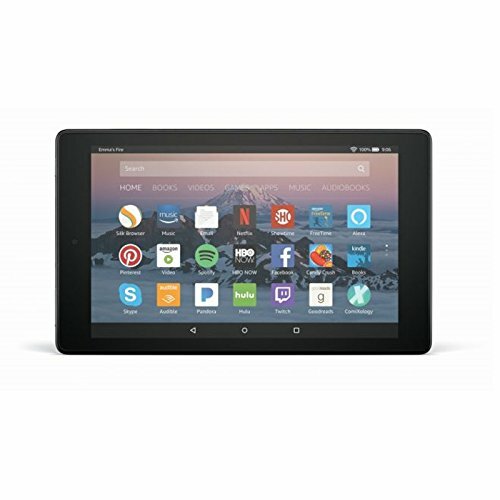 Featuring up to 12 hours of battery life, the Fire HD 8 Tablet has a vivid display and a 1.3 GHz quad-core processor. It also includes 1.5 GB of RAM, Dolby Audio, and is more durable the latest version of the iPad. 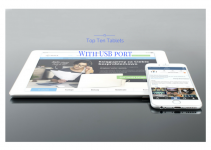 This is a fast and responsive tablet you so you can enjoy your entertainment with faster performances, plus it has two times more internal storage than previous versions. 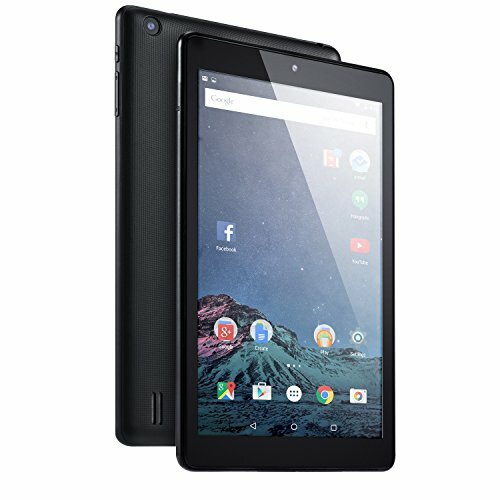 The HD 8 Tablet also includes a 2 MP rear-facing camera that takes great pictures and shoots 720p video and with the front-facing VGA camera, you can easily Skype with family and friends. You also get a vibrant HD display with over a million pixels allowing you to watch movies and play games in clear HD resolution with more brightness and less glare. It also features up to twelve hours of battery life while using it was Alexa and tons of apps, books, music, and movies. With powerful performance, the Dragon Touch X10 Tablet features a stable Quad Core CPU that guarantees smooth gaming and super-fast user experience. 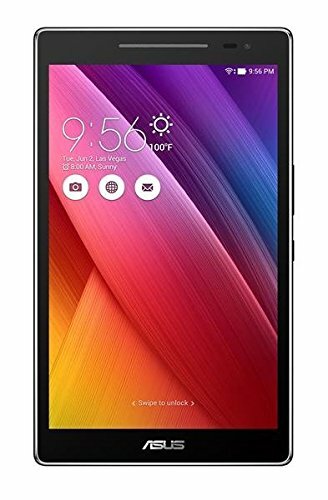 You can quickly and easily download apps, music, and movies with 2GB RAM and up to 64 GB of storage that is expandable with a microSD. The colorful and vivid display features an 800 x 1280 resolution that is ideal for playing games, watching movies, or just reading a book. You also get can connect your table easily to your TV with the micro HDMI port which also allows you to quickly transfer data between your tablet and a laptop. The large battery capacity will last you between five and six hours while its multi-functionality allows you to use Bluetooth equipment your own way. Dragon Touch also offers great customer service and tech support as well as frequent firmware updates. 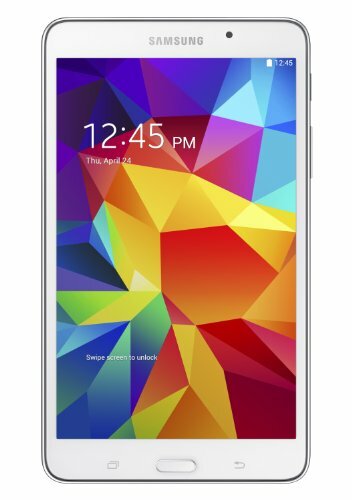 The Samsun Galaxy Tab 4 features a high-resolution display that gives you brilliant detail that is perfect for playing games, surfing the web, or streaming movies. It features a 7-inch screen with a 1280 x 800 resolution giving crisp text and rich graphics. You also get personal recommendations for current TV listing with WatchON based on your viewing history. With a built-in IR blaster, the Samsung Galaxy Tab 4 let you use it as a universal remote control and you can also share the table using the Multi-User Mode with family members. A child-friendly interface lets you switch it to Kids Mode for your kids that is not only fun but easy to control. 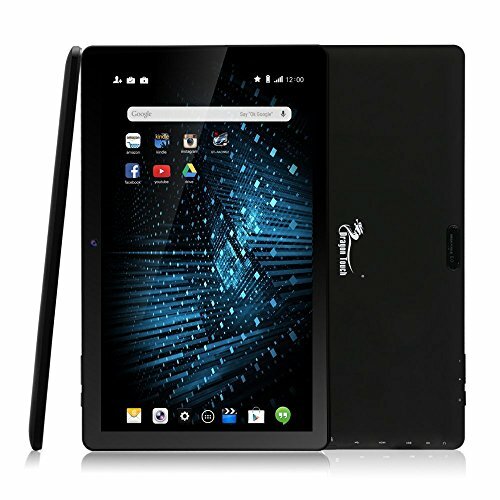 Plus, a built-in camera is great for video chat and photos with this lightweight and portable tablet. With a 1.3GHz Quad-Core processor, the RCA Viking Pro gives you fast performance and features 1GB DDR of system memory. It also has a 10.1-inch touchscreen with 1280 x 800 resolution as well as Bluetooth and built-in WiFi. Other features include both a front and back webcam allowing you to Skype as well as make incredible videos. The Micro SD Card slot is expandable providing you with the ability to add more storage and you get up to six hours on one battery charge. The RCA Viking Pro only weight 1.15 pounds giving you ultra-portable entertainment wherever you go. 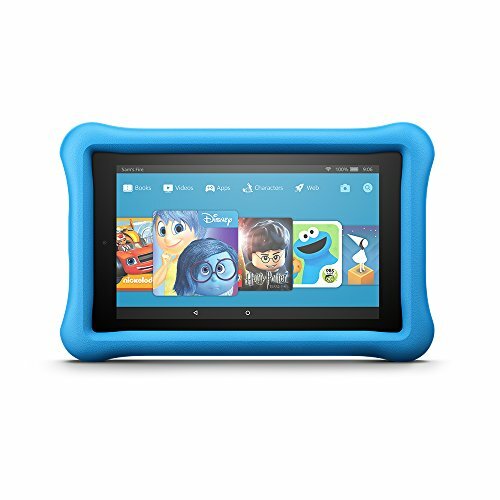 The Fire 7 Kids Edition Tablet is the first of its kind with an all-in-one subscription to all types of movies, books, games, and apps that kids between 3 and 12 would love. It also comes with a Kid-Proof Case as well as a two-year guarantee for worry-free playtime. You can also access all your child’s favorite books, videos, and apps even when you don’t have Wi-Fi. The Fire 7 Kids Edition Table gives you up to four separate child profiles, set bedtime limits, and set strict controls on content and screen time. It features Learn First to block games and videos until an education target has been met. And, with Amazon FreeTime, your child cannot have access to the internet or social without your approval and are not allowed to make in-app purchases. If you are looking for an easy to use tablet, the NeuTab S8 is a clear and comfortable device that you’ll enjoy playing games, watching a movie, or reading on. It includes a vivid screen that has an 800 x 1280 resolution, plus viewing angles that are wide and 178 degrees. The included quad-core CPU gives you stability and up to 1.3 GHz along with a Google Android 6.0 Marshmellow system so you get smooth running media. The NeuTab S8 also comes with a frosted back design that keeps it from getting dirty or scratched. It also only weighs 12 ounces so its easy to throw in your bag and take with you wherever you go and easily connects to almost any TV with its micro-HDMI port. The durable 4000mAh battery lets you use the tablet continuously for up to six hours on a full charge. would allow you to continuously use the tablet for up to 6 hours if you have fully charged. 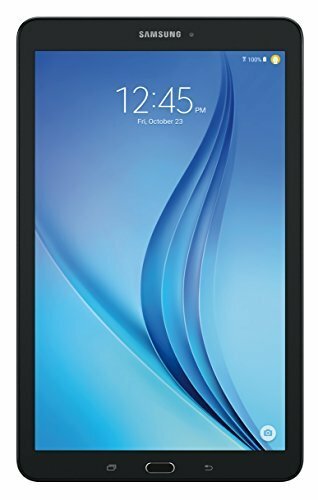 Allowing you to stay connected to your favorite entertainment, the Samsung Galaxy Tab E includes a vivid 9.6-inch screen so you can easily read books, surf the internet, or watch videos. The expandable storage has up to 128 GB so you can store all your favorite book, movies, and music while the 7,300 mAh battery allows you to use your tablet all day long. The Samsung Galaxy Essentials allows you to keep all your premium content in a handy place or easily share it with your family. The intuitive navigation features one-touch access to customer support through the Samsung+ app while dual HD cameras let you take photos and videos as well as chat. It also comes with a Kids Mode to give you peace of mind while providing an entertaining device for your kids to play games and watch movies.